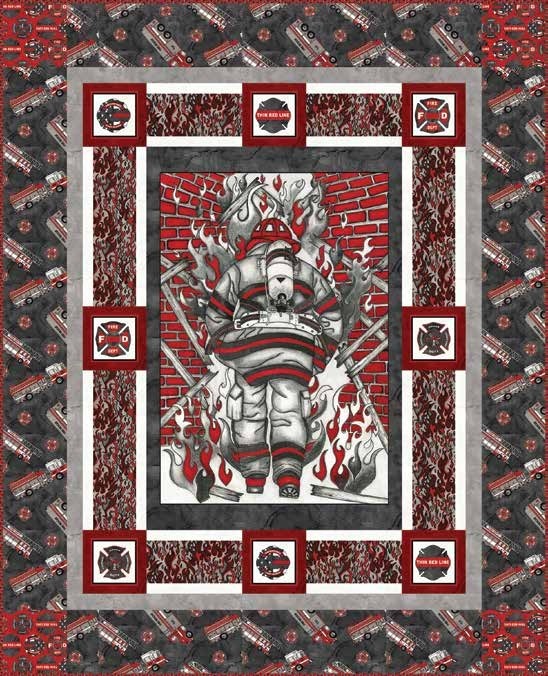 Stitch up a tribute to your favorite firefighter with this smokin' quilt from Blank Quilting. 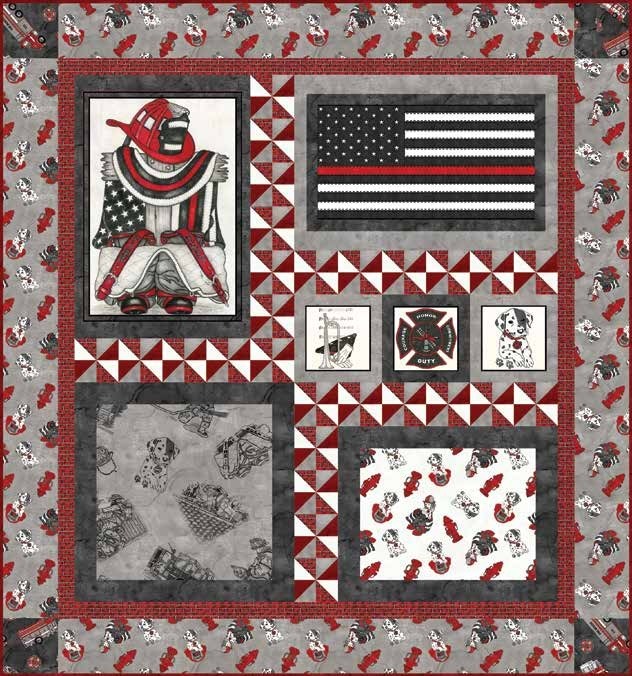 Designed by Heidi Pridemore, this pieced wallhanging contains a pattern and Thin Red LIne fabrics for the top, binding, and backing, by Tana Mueller for Blank Quilting. Finished size: 29" x 49"